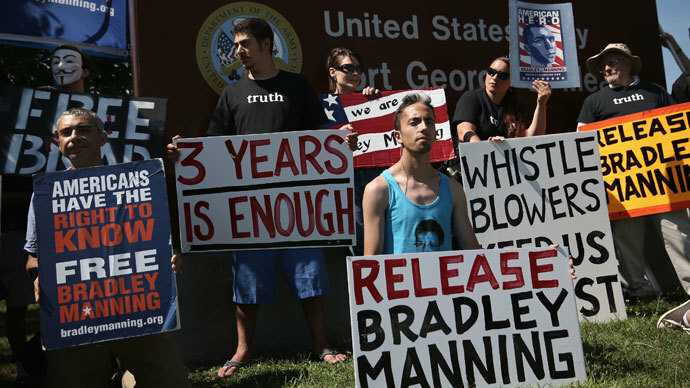 Convicted WikiLeaks source Bradley Manning will now face a maximum sentence of 90 years in prison after his judge agreed to merge some of the 20 offenses he was found guilty of last week. Manning, a 25-year-old private first class in the United States Army, was convicted last Tuesday for his role in releasing hundreds of thousands of classified documents to the anti-secrecy website WikiLeaks. For those offenses, Pfc. 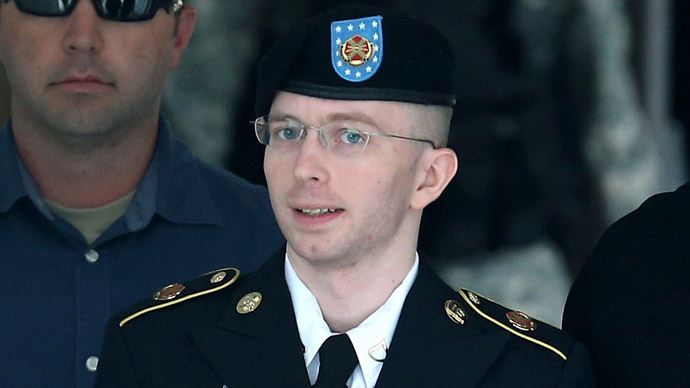 Manning stood to face a maximum prison sentence of 136 years when the presiding judge in the case makes her final determination with regards to punishment after the soldier’s court-martial wraps up later this summer. This Tuesday, however, Col. Denise Lind agreed to combine some of those offenses, drastically dropping the range of time that could be served by more than four decades. Nathan Fuller of the Bradley Manning Support Network has been covering the court-martial and announced Col. Denise Lind's ruling from Ft. Meade, Maryland early Tuesday over Twitter. Earlier this week, journalist Kevin Gosztola explained in a blog-post on Firedoglake that defense attorneys for Pfc. Manning hoped Lind would agree to merge some of the offenses related to the soldier’s leaking of field reports from the Afghan and Iraq wars. Manning collected then released to WikiLeaks a tome of significant activities reports he had access to while deployed during the Iraq War, for which the court convicted him of both espionage and theft. On Tuesday, Col. Lind agreed to grant the defense’s motion to merge those charges in part for sentencing purposes. In Tuesday’s ruling, Col. Lind agreed to combine 16 of the specifications Manning was found guilty of into eight pars of offenses, lowering the maximum sentence the soldier could be handed down when the sentencing phase of his court-martial concludes. According to Gosztola, Col. Lind looked at a number of specifications and paired together those that were related. She combined the charge of adding unauthorized software to an Army computer with the actual theft of the files for both compromising State Department cables and Guantanamo Bay detainee assessment briefs. Lind also coupled the theft of Iraq War logs with wrongfully storing classified information, and paired Manning’s theft of Iraq War logs, Afghan War logs and the Gitmo files with the respective Espionage Act convictions. She also combined using an information system other than intended with the theft of a military contact list, and the “Cablegate” violation’s theft conviction with a violation of the Computer Fraud and Abuse Act. The court-martial of Pfc. 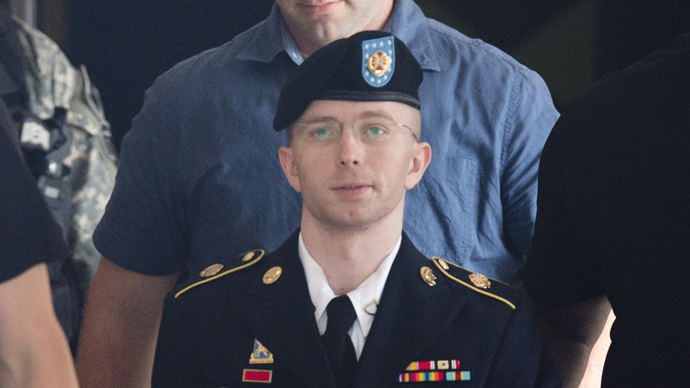 Manning began in early June and went for eight weeks before Col. Lind announced her verdict last week. 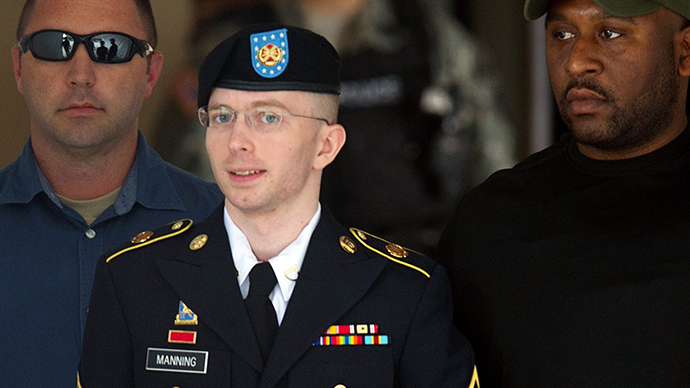 The trial is now in its sentencing phase, during which the prosecution and defense ask witnesses to testify to the extent of the damage caused by Manning’s leaks. Lind will announce how long Manning must spend in prison when that phase wraps up later this month.